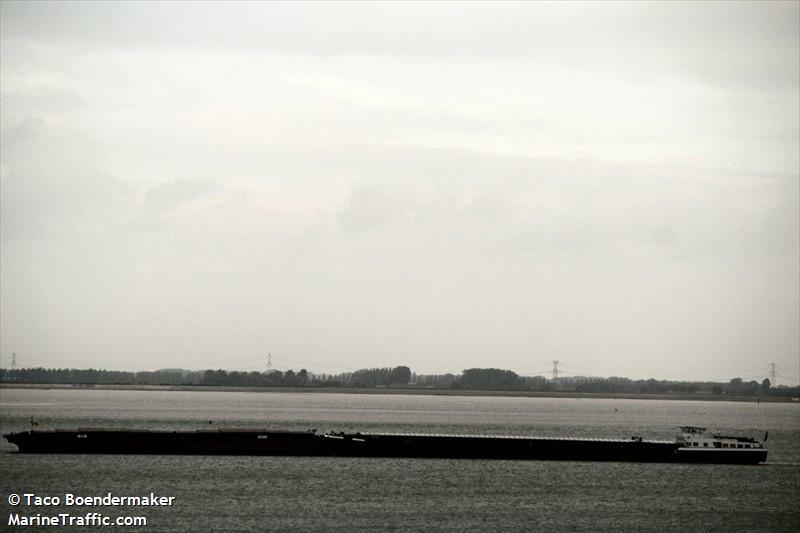 Reports state three trawlers went aground off Delft Island and another off Analative Island. The first trawler with four crew on board went aground on December 18 off Delft Island. 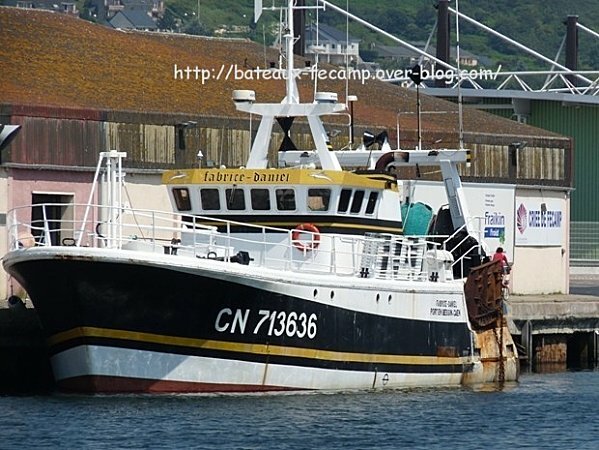 The four crew were rescued after the vessel was washed ashore in rough seas. 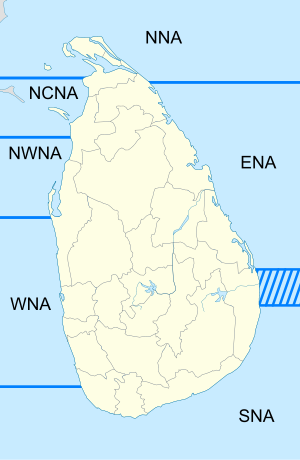 On December 19, the Sri Lanka Navy rescued 12 men when their trawlers went aground off Delft Island. Another six were rescued when their trawler went ashore on Analative Island. Authorities report that the trawlers did not carry sonar or safety equipment on board. The vessels just had GPS equipment. The report states the islands are prone to illegal fishing and problems for both India and Sri Lankan governments. The 185 meter long self-propelled barge Marcona with a convoy of barges allided with a bridge on the Rhine River at Bonn, Germany. The Marcona became disabled when some flotsam became wedged in the port-side propeller causing the vessel to swing into a pillar of the bridge. The wires between the barges snapped and the barges broke free. The crew of the Marcona dropped anchor and the barges were taken along side. The bridge suffered minor damage that does not require immediate repairs. No reports of injuries or pollution being released. The Marcona was allowed to continue its voyage later. 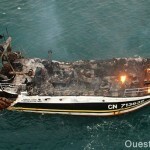 The 22 meter long fishing vessel Fabrice Daniel caught fire while off the coast of Fécamp, France. The four man crew of the fishing vessel sent out a distress call and escaped into the life raft. 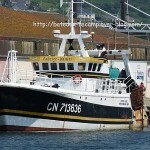 A nearby fishing vessel Victor Constant rescued the four crew. 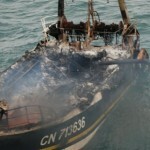 Soon after the Fabrice Daniel exploded destroying the superstructure of the vessel. A helicopter airlifted the crew who were suffering from shock and mild hypothermia. The National Society for Sea Rescue of Ouistreham dispatched a rescue boat to the scene. 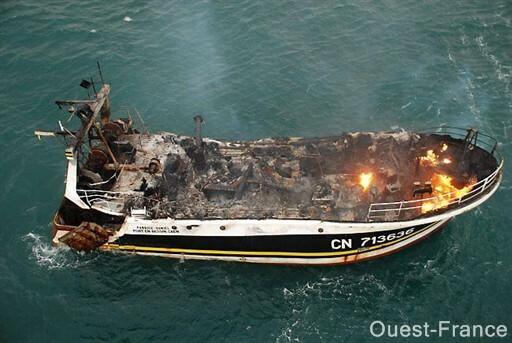 They were able to get the fire under control by the next day, but the Fabrice Daniel was too far damaged and sank in 44 meters of water. Reports state there will be no salvage recovery of the vessel. An investigation is being conducted by the Coast Guard into the incident.